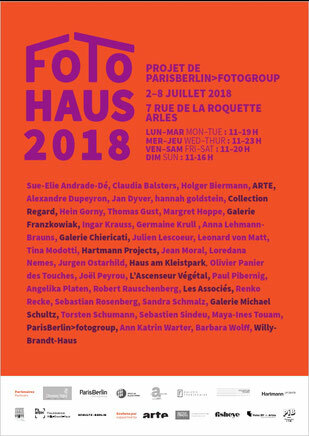 Collection Regard is pleased to take part in FOTOHAUS fourth edition with a new Salon Photographique including works by german photographers Barbara Wolff, Julien Lescoeur, Margret Hoppe and Hein Gorny. 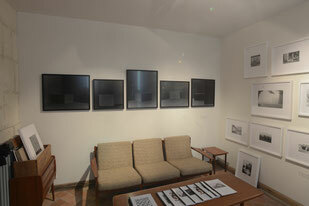 Limited editions, publications and exhibition documentation of the photographers represented by Collection Regard will be available on site for curators, collectors and the festival visitors. FOTOHAUS I PARISBERLIN is an exhibition concept created by ParisBerlin>fotogroup in 2015 focusing on the German-French photography scene. The aim is to create a place that offers exchanges and networking and between institutions, photographers, galleries, collectors, agencies and publishers. 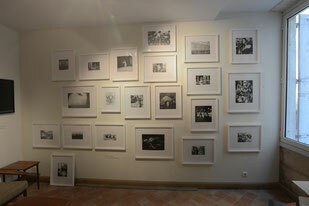 In addition to the exhibitions, the FOTOHAUS offers a cultural accompanying program during the Rencontres d'Arles festival opening week. FOTOHAUS 2017 gather more than 10 institutions and 60 photographers together: ParisBerlin> fotogroup, Collection Regard, Ostkreuz Agentur, Ostkreuzschule, Galerie Michael Schultz, Galerie Franzkowiak, Haus am Kleistpark, La Collection, Freundeskreis Willy-Brandt-Haus, Les Associés, L'Ascenseur Végétal. Close to 5,000 visitors came to visit us from July 2rd to 8th, 2018.